OOTD - Winter Weekend Casual | La Petite Noob | A Toronto-Based Fashion and Lifestyle Blog. This jacket it the most comfortable thing I have in my closet for the winter time! 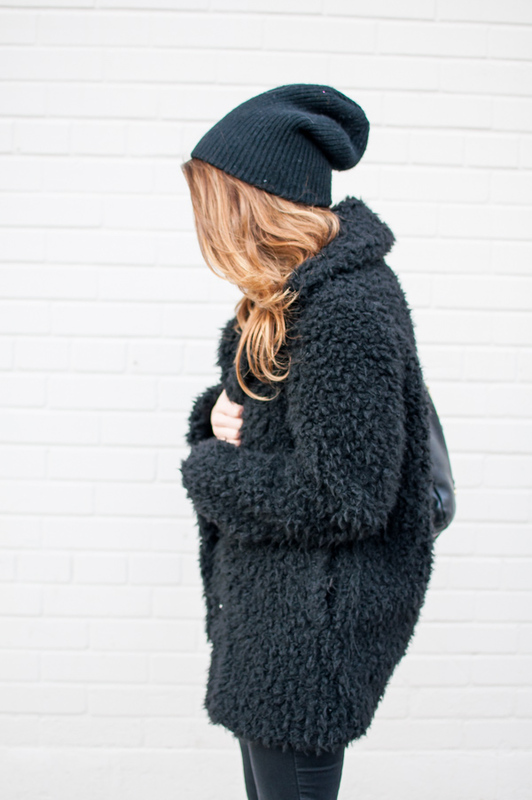 It feels like you're giving a giant teddy bear a hug - plus it's surprisingly warm! I love it as a weekend alternative to the parka and it will definitely be on repeat the entire winter. Whats your winter go-to weekend outfit? What do you think about the shearling/faux fur trend that's hit in a big way this winter? Let me know! You look gorgeous! I LOVE that coat! It looks so cozy! Thanks Alecia! I love this coat too - it's crazy comfortable!